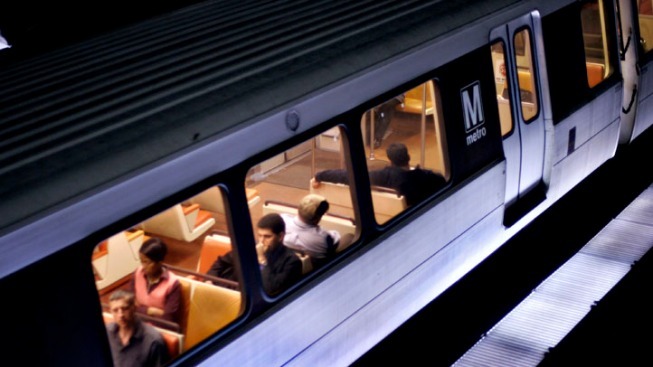 Metro apologized to riders after two Metro train cars detached from each other during rush hour Wednesday morning, stranding passengers for at least half an hour. The Metro cars separated by about a foot and a half about 8:15 a.m. Wednesday as a Green Line train approached the Navy Yard station, Metro spokeswoman Sherri Ly said in a statement. No one was hurt by the mishap, which is under investigation. "Metro apologizes for any inconvenience you experienced as a result of this incident," the agency said. Metro declined an on-camera interview, saying they could not speak about an ongoing investigation. A Metro crew recoupled the second and third cars of the six-car train as passengers sat on board. The train was moved into the Navy Yard station about 30 minutes later. The train was taken out of service, and passengers waited for another train. The issue forced Green Line trains to single-track between the Anacostia and Navy Yard stations.